In addition to exceptional training, RPG provides the opportunity to work closely with some of the top accounting talent from Southern California and beyond. Here, young accountants gain more exposure, faster, to all areas of audit, tax and consulting service. Rather than becoming one of a legion of worker bees, even new team members are exposed to an exceptional depth and breadth of possibilities—right from the start. In the same way our size allows us to provide exceptional services for our clients, it also allows us to focus on you and your professional future. You’ll work closely with our clients and we’ll work closely with you, continually growing in tandem. 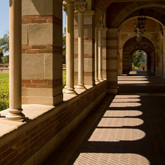 We attend several Southern California on-campus recruiting events every year. Come see us in person. Visit our Information page and select “Events Calendar“ to see when we’ll be visiting your campus.